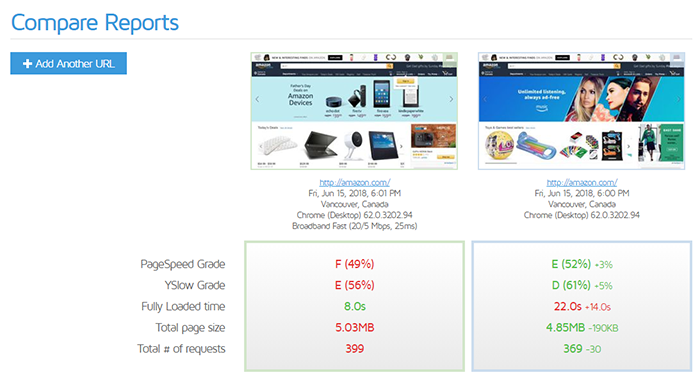 You can compare GTmetrix Reports, with their own respective options, without having to analyze URLs again. 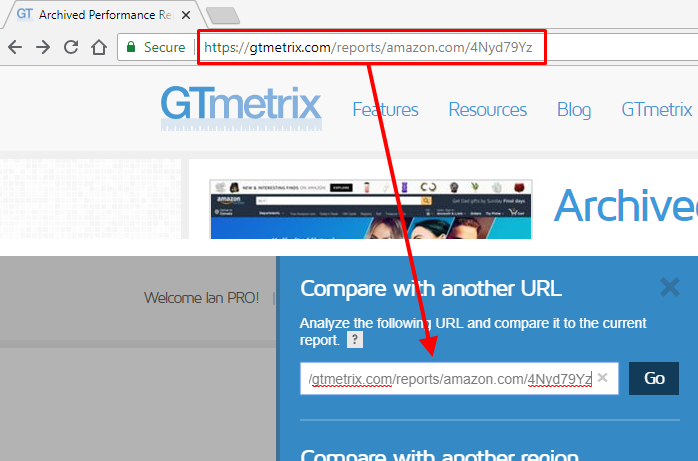 Copy the GTmetrix Report URLs and paste them into the Compare URL fields (up to 4). You’ll be able to compare past reports.